Lukas F. came to fix our leaking dishwasher. It turned out to be an odd problem, but he was able to quickly identify it and fix it. One of the dishwasher rack tracks were broken. He even took an extra step to replace the track on the opposite side just for good measure. He was quick with the repair and friendly. Lukas was great to work with and very knowledgeable. Fast, but with a great attention to detail; from visit 1 to the repairs on trip 2 was never less than professional. Awesome service. professional and knowledgable, Great service. The repair person was timely, knowlegeable, explained. everything. he ordered the parts which arrived the next day. got an appointment to repair the microwave the next business day. I would higly reccomend your company and Lucas. to anyone. Right on time, was well prepared to fix our microwave and do so in a very quick time. The way service used to be!!!! DISHWASHER WHIRLPOOL WDF330PAHB0 Customer stated walls of the dishwasher sweaty and some of the dishes are not dry. He is using rinse aid and water temp is sufficient. No error codes and the heating element is drawing 9 amps in diagnostics. I advised him to run the tap before use and I cranked up the rinse aid dispenser to max. WASHER MAYTAG MVWC565FW1 "New number 764.262.1782, tried 3 new latches and all in the locked position; ordrng 1 W11307244 (LATCH)"
DRYER MAYTAG MEDX655DW1 It had not dried right since day one. I found the vent disconnected in one spot which caused poor airflow. Operation tested good after connecting and taping it in place. REFRIGERATOR WHIRLPOOL WRS555SIHZ00 "Installed new user interface, control and ice maker. The fill test is now working in diagnostics. Customer should see ice production by the end of the day." WASHER MAYTAG MVWC565FW1 "Replace ccu, calibrate, run test cycle, ok"
REFRIGERATOR MAYTAG MFI2570FEZ05 Installed new thermistor and damper and gasket. Customer will keep an eye on temps. WASHER MAYTAG MVWC565FW1 "New latch broken, order another; ordrng 1 W11307244 (LATCH)"
DRYER MAYTAG MGD6630HW0 "Heating and cycling fine, check vent and is poor, steam forced out of door and into console, see pics"
DISHWASHER WHIRLPOOL WDT970SAHW0 "Replace sump, run test cycle, ok"
REFRIGERATOR KITCHEN AID KFIS29PBMS03 Installed new auger motor. Operation tested good. REFRIGERATOR WHIRLPOOL WRR56X18FW01 "Installed new evaporator, dye drier and charged with 4.8 ounces of r134a. Customer will give it 24 hours to cool down. ; used 1 WPW10143759 (DYE DRYER) from stock"
DISHWASHER WHIRLPOOL MDB8959SFZ4 "Tracks not retracting all the way causing the upper rack to interfere with closing. Operation tested good after installing new tracks. ; used 1 W11259785 (TRACK), and 1 W11259786 (TRACK) from stock"
REFRIGERATOR KITCHEN AID KFIS29PBMS03 "Control failed, unit stalling in defrost and not coming out. Caused ice in bucket to melt several times. Pulled unit out on pad and installed new main board and UI assembly. All ops good. Cust concerned because auger motor now sounding louder than usual but still working at this time"
WASHER MAYTAG MVWC565FW1 "3-1, need new ccu; ordrng 1 W11162438 (CCU)"
REFRIGERATOR MAYTAG MFI2570FEZ05 "Temperature in the low 30s in the fresh food section. The water line froze again and food is freezing. Needs new thermistor, damper and damper gasket. I thawed out the line to get them up and running. ; ordrng 1 W10316760 (thermistor) and 1 WP67006341 (GASKET) and 1 WPW10196393 (DAMPER)"
DISHWASHER WHIRLPOOL WDT970SAHW0 "4-3,7-1 need new sump; ordrng 1 W11087376 (SUMP)"
MICROWAVE WHIRLPOOL WMH53521HW1 Installed new interlock kit. Operation tested good. REFRIGERATOR JENNAIR JS48PPDBDA Installed new ice maker and ran a test cycle. Operation tested good. REFRIGERATOR WHIRLPOOL WRF954CIHV00 Ice box fan not running. Found the fan ice up. Operation tested good after defrosting. Customer will keep an eye on it. The user interface is now working after going into diagnostics. If still having issues send out UI and ice box fan. REFRIGERATOR WHIRLPOOL WRT106TFDB01 "Installed new evaporator, dye drier and charged with 4.27 ounces of r134a. Customer will give it 24 hours to cool down. 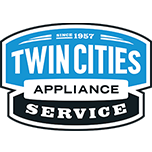 ; used 1 WPW10143759 (DYE DRYER) from stock"
RANGE WHIRLPOOL WFE525S0HV0 Install active hinge checked over unit tested out good..
REFRIGERATOR WHIRLPOOL WRT106TFDB01 Sealed system leak most likely in the evaporator. We pulled the unit out to check for leaks in back but did not find any. Needs new evaporator and dye drier. Quoted 232.95 labor. Customer is going to call customer service to see if they will cover labor as well. MICROWAVE WHIRLPOOL WMH31017FB0 Installed new control. Operation tested good. WASHER MAYTAG MVWB835DW4 Install console per customer want me to stay and do load to make sure water is going high enough on deep water wash so we did a towel load and water did go higher then regular cycle...instruct customer water for deep water washing is normal but customer don’t think so...but will live with it..